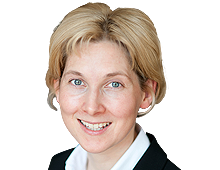 Emily Windsor specialises in property litigation and arbitration. Her practice covers all areas of real property and agriculture. She has extensive experience of appearing in courts and tribunals at all levels. She also regularly appears in commercial and agricultural arbitrations. Emily is listed as a leading junior in both Chambers and Partners and The Legal 500 (for both property litigation and agriculture). Emily sits as a Deputy District Judge, hearing civil cases. She is also authorised to sit in the Insolvency Court. She qualified as a Fellow of the Chartered Institute of Arbitrators in 2014.